Maybe you want to paint or redecorate a bit.The trick is finding a way to do it with minimal cost and effort. Below are some clever interior design tricks to transform your home. Grab a paintbrush and a gallon of paint! A new paint job will always work wonders for a room. First, come up with a basic colour scheme. If you aren’t a design expert, many paint stores have brochures to suggest paint colours that compliment perfectly together. The rule of thumb is that when choosing a colour palette, assign 60 percent of the room a dominant colour, 30 percent a secondary colour, and 10 percent an accent colour. Mirrors add instant light to your living space. Plus, they bring light and depth to visually expand any space. A handy tip is to ensure they reflect something interesting like the outdoors or an artful display. You’re going to use it forever so buy a sofa with good, durable fabric. To get the best buy for your buck, check the frame.Having a sturdy frame means a long-lasting sofa. Test the springs and the fit.Make sure it supports you properly and feels comfortable to sit on. Get a fabric that meets your family needs.Sofas for everyday use need durable fabric. If you have kids or dogs get a durable, washable fabric that will stand up to the test of time. It’s important your room feels like you.You want to look around and feel a sense of home that evokes special memories. Before running to the store take a good look at what you already have. Mix old collected family treasures with new pieces. Everything doesn’t have to perfectly match.Go through the attic. Shop at thrift stores. Mix up patterns and textures. Decorating doesn’t have to be expensive.Use your creative genius to seek out treasures you’ll love. Gather together all the household items that are in piles and gathering in the corners of your space.Simple lines and organization bring a feeling of peace and unity in a space. Simplify your bookshelves.Place simple items like books, plants and vases in a visually pleasing way. Sometimes less is more. Plants can soften the look of your interior spaces. They bring life and warmth to any boring corners and areas of your home. They can be used as a centerpiece, room dividers or a focal point in a room.Not only are plants beautiful but many can clean household air and balance humidity. If you aren’t a green thumb, silk plants can have a similar impact. Get as much natural light as possible into your home and consider using full-spectrum lights. Ambient lights add general illumination where task lighting is needed for reading. Accent lighting will dress up any room. Don’t place all your furniture against the walls. Put at least the front legs of your sofa on the rug — not just around it. Get rid of everything you do not love in your house. Eliminate clutter and you’ll feel lighter and more peace in your space. No doubt, Feng Shui can create balance and vibrant energy in all areas of your home. 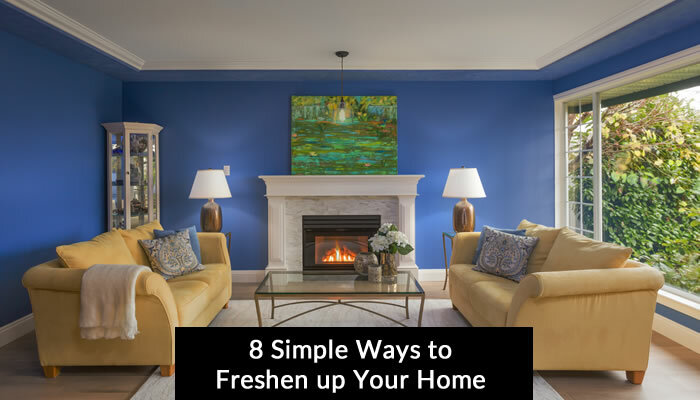 I hope these tried and true design formulas help you make your living spaces a little more beautiful without breaking the bank. If you would prefer a professional take care of this for you to ensure an ideal outcome, contact me for a design consultation if you live in the North Vancouver area of BC.